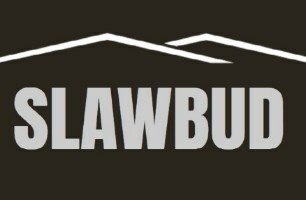 Slawbud Builders Company - based in Mitcham, Surrey. Welcome to Slawbud Builders Company SLAWBUD offers full home and building renovations, bathroom and kitchen fittings, plumbing jobs as well as many other services to customers through the whole of London and the area around it. Founded in 2004, the company has a broad experience in the bathroom and kitchen fitting trade. The company is managed by Slawek Karpinski, who has focused on the home and building renovations, bathrooms, kitchens and all technical aspects of these jobs like plumbing. With a team that includes friendly employees, S. Karpinski has a professional staff, qualified to a high standard with certificates and qualifications in plumbing fields. The company has top quality qualified electricians and plumbers which gives a sense of safety to clients and a warranty of a well done job. The company delivers comprehensive plumbing and fitting service to businesses and individual clients, which are designed to be cost effective and of high quality at all times. Using good quality tools, the business also has polite staff allowing clients to relax and await results without stress while being updated on job progress and all actions on a daily basis. We happily deliver all types of services needed, don't hesitate to ask for a free quote.